Food to brighten your mood. Choosing what to eat often has more to do with emotion than logic than most people think. Understanding this can help us make smart plans for healthy living. Based on the user's response to a daily prompt, our program determines a meal package to deliver to the user. For example, a discontented user would be given some healthy comfort food, like frozen yogurt or pesto pasta. I used Flask to connect the SendGrid API and Watson API to my webpage. This allowed me to send email receipts and determine which foods to offer to users. I used an open-source HTML5UP html base that I modified with JQuery. The front end used CSS and HTML5UP with SASS and Font Awesome for graphics. I had a tough time being able to incorporate html-styling into the SendGrid system and having Flask serve up my style sheets. I worked with the SendGrid representative for several hours to diagnose (and eventually fix) the problems. I learned how to change environment variables, debug in new ways and how Flask can serve up different projects. 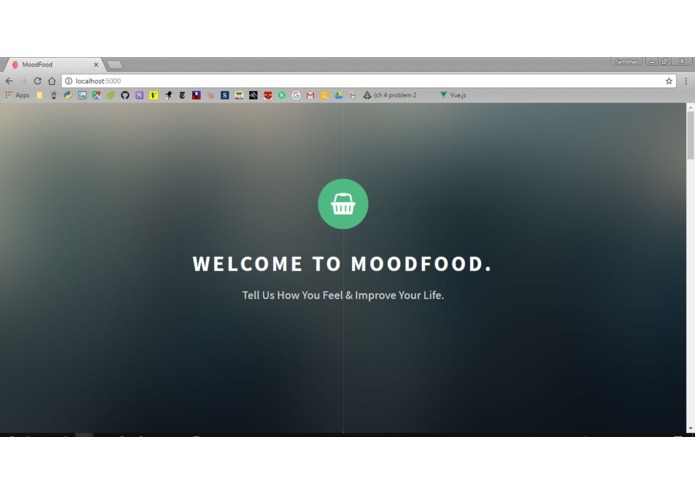 MoodFood could be a viable business that dieters turn to because of its ability to make healthy eating a more natural part of life. Worked on Flask, Watson, SendGrid, JQuery/JS in backend and connected it to the CSS/HTML5 front-end.